Charles has been practicing in the area of executive compensation and corporate governance for more than 16 years. His focus is on the design of cash and equity incentive programs; employment, change-in-control and retention arrangements; compensation governance and risk assessments; shareholder engagement; and the preparation of Compensation Discussion & Analysis (CD&A) and other SEC disclosures related to executive compensation. 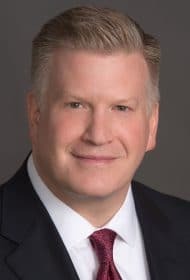 Charles also has extensive experience in addressing executive compensation, employee benefits and workforce integration issues in connection with mergers and acquisitions, divestitures and joint ventures. Charles’ clients include companies in diverse industries including technology, financial services, insurance, chemicals, aerospace and defense. Prior to joining Meridian, Charles most recently served as Assistant General Counsel to EMC Corporation, where he focused primarily on the company’s executive compensation, retirement and related governance programs. Prior to EMC, Charles was a partner at K&L Gates, a global law firm where he specialized in executive compensation and employee benefits matters.